Editor's note (March 15, 2017): Author Richard Wagamese died March 10, 2017. This interview with Wagamese originally aired June 28, 2016. 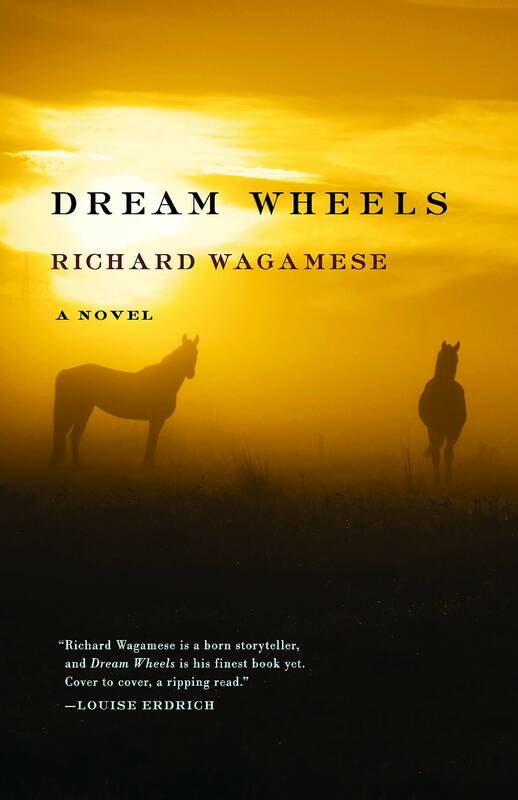 Richard Wagamese is a well-known novelist in Canada, and with the re-release of two of his novels through Minneapolis publisher Milkweed Editions, he's making his mark further south. Wagamese joined MPR News host Tom Weber as part of Indigenous Book Club Month. The first of the two novels, "Dream Wheels," follows a Native American bull rider who is crippled by an "unrideable" bull. He retreats from life, sinking into a depression on his family ranch. Miles away, a teenage boy raised in the city runs afoul of the law, and is sent to work on the ranch. His mother joins him there, escaping an abusive relationship. "They find a ways and a means to work together, and help themselves to heal," Wagamese said. Louise Erdrich the novel hailed it as "a ripping read." The story reflects some of Wagamese's own difficult past. He was removed from his birth family as a toddler, and did not reconnect with his Native ancestry until he was 24. In the years in between, he was shuttled from foster home to foster home before landing in an abusive adoptive home. "So I understand the nature of being raised in brokenness more than togetherness, and that certainly colored the way that I wrote the novel," Wagamese said. At the same time, the novel transcends many of the difficulties of his own life. "I think that novel was my first effort to step beyond the barriers that we sometimes erect around ourselves in terms of our storytelling, as Native American and indigenous authors," he said. "We sometimes time tend to write stories that involve us being survivors — surviving or transcending some degree of horror and difficulty — and I wanted create a family who don't have any of that. In this novel, nobody's a drunk, nobody's homeless, nobody's going to prison or coming out. Nobody's doing all of these things that sometimes color our narratives. Instead, they have an almost Walton's-kind-of-feel, whereby their lives are predictable and safe and routine." "There's a great deal of love and affection, and I wanted to paint them as though they were the neighbors that everyday Americans and everyday Canadians walk and talk beside, to show we're all just people at the very centers of ourselves." The second of Wagamese's novels being released by Milkweed Editions, "Medicine Walk," addresses darker family drama head on: It centers on a 16-year-old boy growing up in rural British Columbia. He's estranged from his father, who only appears in his life in fleeting moments of drunkenness. Finally, his father summons him as he's on his death bed, dying of liver failure. He asks his son an incredible favor. "He asks him to take him 40 miles into the backcountry to a ridge he knows from his days as a lumberjack, and bury him in the traditional Ojibwe manner — being seated facing the east. It's because that's the way a warrior is buried." "His son wrestles with the notion of how his father could consider himself a warrior, when all he knows him as is a drunk," Wagamese said. The New York Times wrote that the novel, "feels less written than painstakingly etched into something more permanent than paper." For the full discussion with Richard Wagamese, use the audio player above.